Have custom firmware installed? 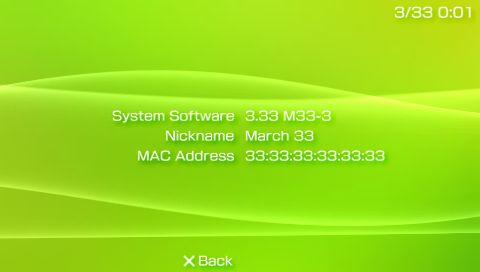 Wondering why the System Information section on your PSP is displaying a bunch of odd numbers? April 2, or March 33 rather, marks the date of Team M33's first anniversary. That said, don't worry, your handheld hasn't gone haywire or malfunctioned. This is just a small Easter egg from Dark_AleX himself in celebration of the team's first anniversary. 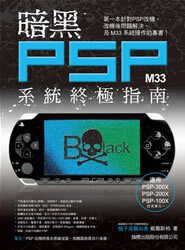 Tomorrow your PSP will revert back to normal. Nifty, huh?